Dodgers Blue Heaven: Welcome to the Blue, Kenta Maeda! Welcome to the Blue, Kenta Maeda! Since we've all been bitten badly in the recent past on these kind of non-confirmed announcements, I would suggest taking this news with a grain of salt. Still, after weeks of false starts and non-movements I can't help but be excited about what has happened the past few days. All of the sudden, the Dodgers have a deep staff to go along with the best pitcher in the game - Clayton Kershaw. Hopefully, this signing doesn't end up falling apart. BTW, Jeff Passan mentions that it could be quite a few days before it becomes official. On a side note, this signing should calm Brandon McCarthy's nerves. Maeda has shown solid stuff across the board, with a fastball that sits at 89-93 mph and can touch 94, a tick above-average slider that he leans on heavily, along with a curveball and a changeup he will use to try to keep hitters off balance … (in the Premier 12 tournament in November), Maeda’s changeup was a plus pitch. At times, the pitch had good sink, at others it had excellent fade, and sometimes it had both. 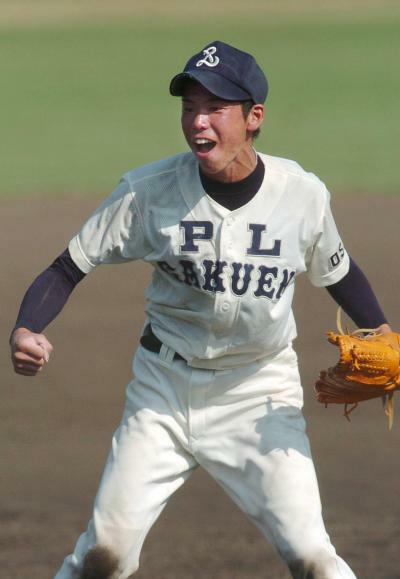 Via Scott Mowers at Minor League Ball, "Japanese pitcher Kenta Maeda: What can we expect?" Make no mistake, Maeda's secondary pitches and his ability to locate them explain how he's been able to have sustained success in NPB without overpowering stuff. His low-80's slider is known as his best pitch despite true wipeout, bat-missing break because he's able to flip it for strikes to both righties and lefties in any count. Via Mike Axisa at River Ave Blues, "Scouting the Free Agent Market: Kenta Maeda,"
I don’t see Maeda — his nickname is Maeken, by the way (MAEda KENta) — as an ace or anything like that. It does seem like he has a chance to contribute as a mid-rotation guy for someone though. Via Eno Sarris at FanGraphs, "Looking for a Kenta Maeda Comp." Via Dan Weigel at the Sporting News, "How will Kenta Maeda’s skills translate to the major leagues?" Via Daniel Brim at Dodgers Digest, "Get to Know This Year’s Foreign Imports: Kenta Maeda, Dae-ho Lee, Nobuhiro Matsuda." Exact terms of the agreement are not yet know, but it had been previously noted that the posting fee expected by the Hiroshima Carp was $20 Million. In celebration of his signing I made the above two fantasy cards of him. On the left, the photograph is from Koji Watanabe/Getty Images/Heavy.com and I used the 1986 Topps Baseball card design. On the right, the photograph was taken by Koji Watanabe/Getty Images North America during a WBC game in 2013 and I used the 1972 Topps Baseball card design.